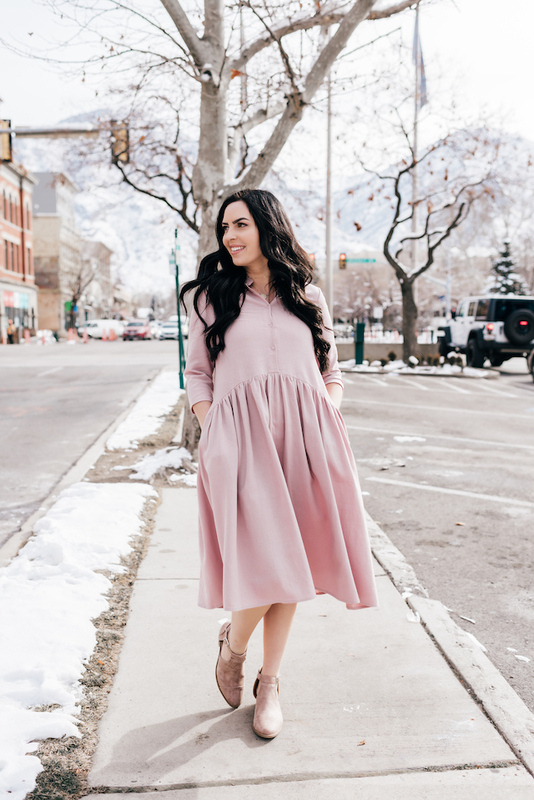 Janelle In Real Life: My New Favorite Dress & A Girl's Night Out! 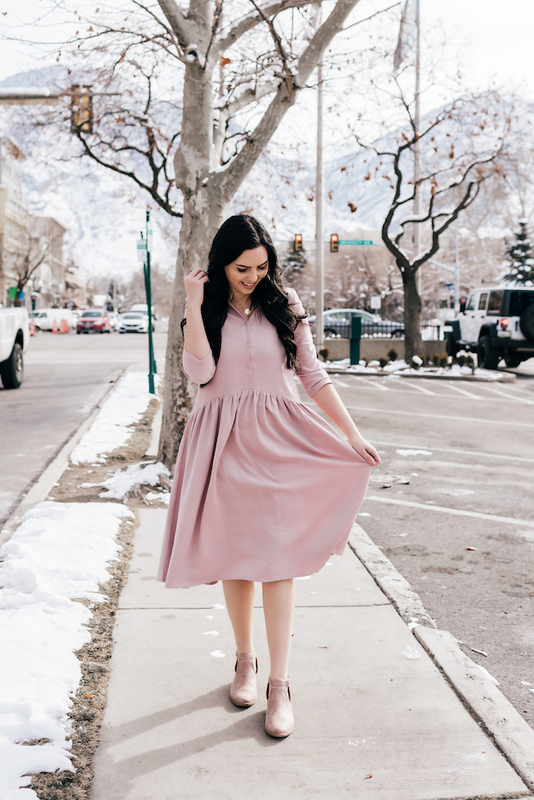 My New Favorite Dress & A Girl's Night Out! Hey friends! 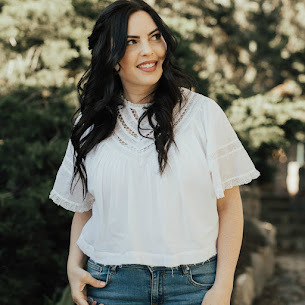 I'm just here sharing one of my favorite pieces from one of my favorite places to shop! This dress is one of those that looks even more stunning in person! I wish you could feel the texture through the screen, but it's a heavier linen that feels so expensive! BUT IT'S ONLY $42, GUYS. 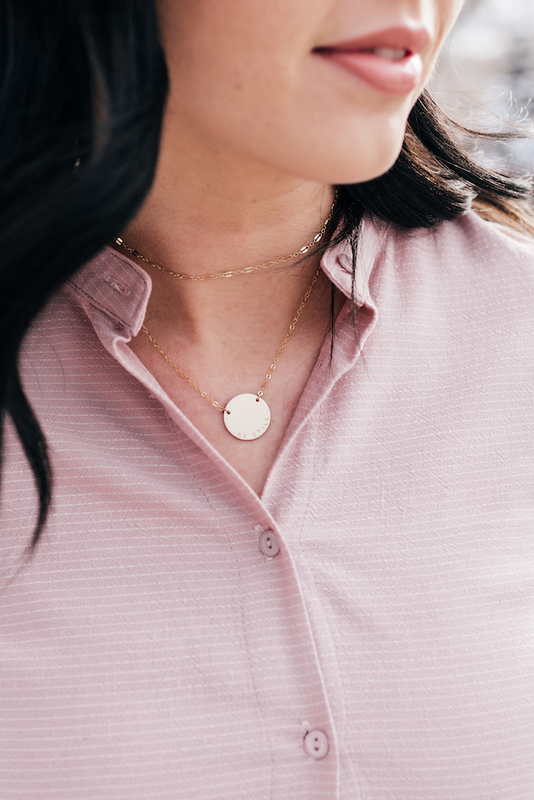 The details of the unique hemline & high neck (that I left unbuttoned to show off my cute necklaces) make it just my style! I wore this pretty thing at Altitude Summit conference in sunny Palm Springs earlier this month and again in snowy Utah in the same week. I love that it works for either! I just layered a coat for the cold weather and I was set for church. But homegirl cannot WAIT for Utah to get it's act together and start warming up, I'm ready for spring already! 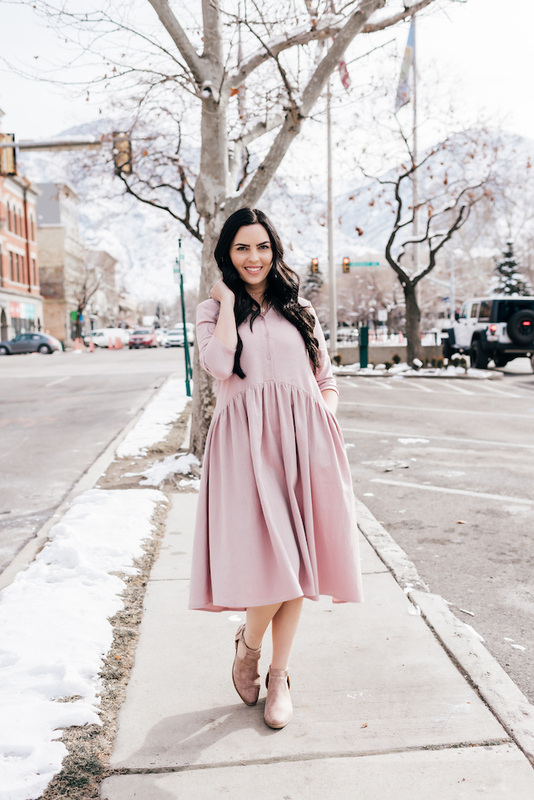 And just as an FYI... if you're a Utah local and love My Sister's Closet as much as I do, they're having a Girls Night Out this Saturday from 4-8 pm! 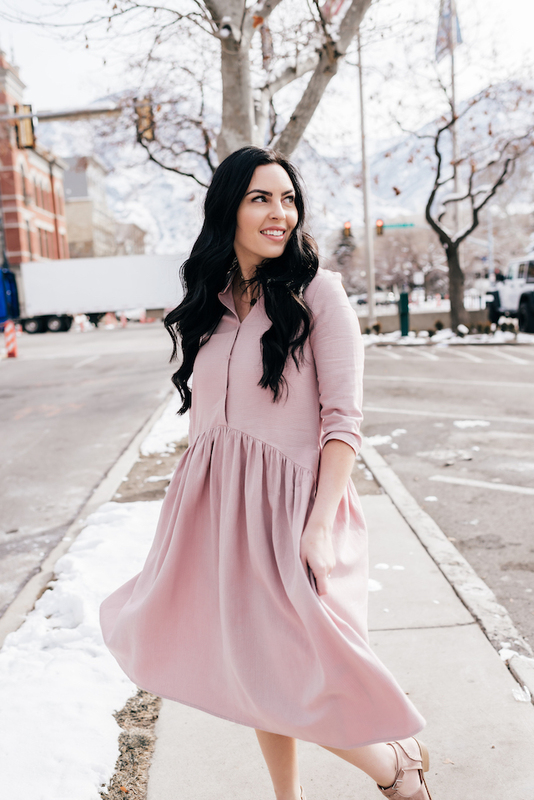 The GNO event will be happening at both of their locations (Spanish Fork & Draper) and will have a sale, giveaways, goodies, and fun times. I'll be there so give me a shout if you come too and bring a friend along! Oh wow! This color is amazing on you! It's like a nice neutral blush that goes great with your skin tone and your hair! Such a cute and simple dress.